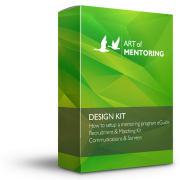 Mentor and mentee training is essential for the success of a good mentoring program. Set the expectations, define the goals, lay out the boundaries and move straight into the developmental conversation with our training equipping your mentors and mentees with all they need to get started. 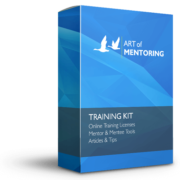 Our Training Kit includes online training for mentors and mentees, many sets of interactive pdf resources, slides for running program events and more. Get your mentors and mentees ready and perfecting the art of mentoring with our online training, tools, reading materials, and support, all of which is customisable to your needs! 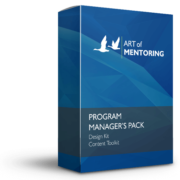 The resources to fully equip and support your mentors and mentees! 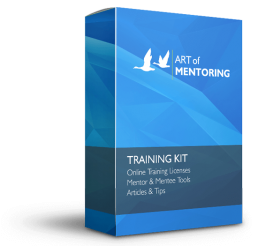 The Training Kit is full of resources for you to support and train your mentors/mentees. It is designed to increase the success of your mentoring relationships by providing engaging training material with geographically accessible technology to enable local or virtual programs. It also comes with access to its own forums where you can ask the experts about any issues you’re facing and suggest any updates.